Though he's still keeping much of the movie's details locked behind a secure door, some information is starting to emerge about Christopher Nolan's latest. 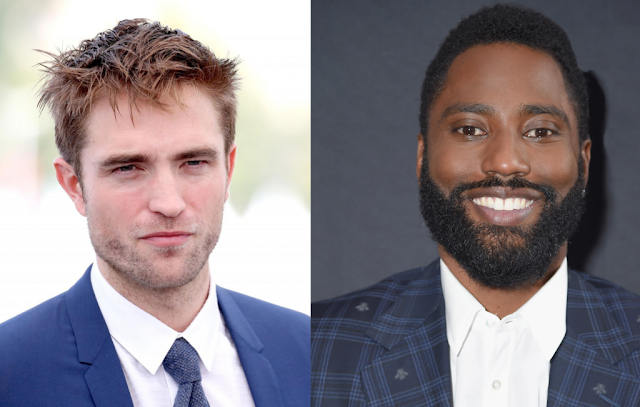 On the heels of word that BlacKkKlansman's John David Washington is up for a lead role, Collider brings the news that Robert Pattinson also also circling the movie, along with a report from Variety that also mentions Elizabeth Debicki. As with the report on Washington's casting, there is naturally no information as to what Pattinson might be doing in the film, or what it'll be actually about beyond the rumors it'll be a big, innovative action blockbuster with a healthy portion of IMAX shooting. Collider has at least heard that Pattinson and Washington would star alongside Debicki and an older male character, though naturally we'll have to wait and see on that front. Warner Bros. is naturally high on what the Dunkirk director and his wife/long-time producer Emma Thomas will be making this time, and the film had a release date set for July 2020.